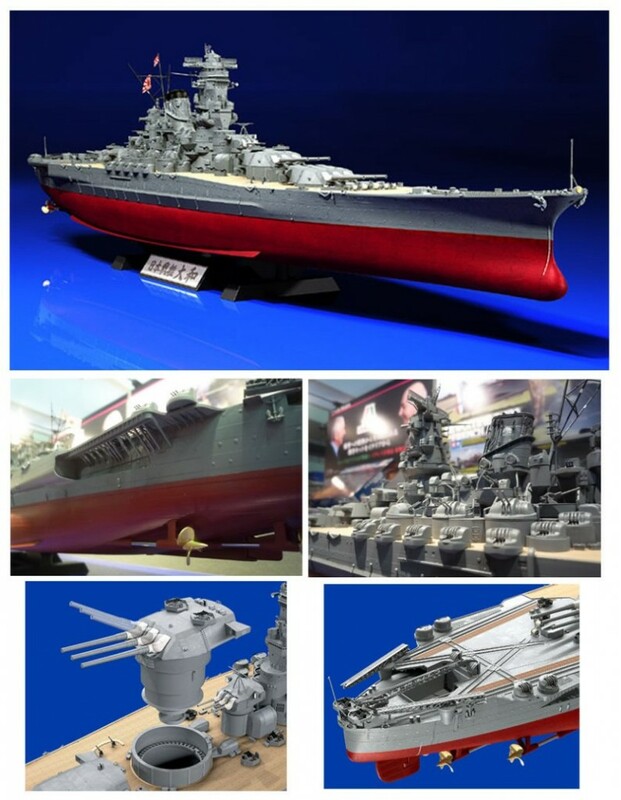 TAMIYA 78025 JAPANESE BATTLESHIP YAMATO (1/350) w/PHOTO ETCH – NEW TOOLING! • The model may be assembled as either a waterline or full-hull display model. • New parts: the ship’s foredeck, sides, and stern have new details based on the latest research. • The included small screws allow secure attachment of the hull and deck. • 90% of the deck components are molded separately to allow greater realism. Separate parts also make it easier for modelers to paint and finish. These parts include; superstructure details and anti-aircraft guns. • Main gun turrets can be rotated freely. They feature interiors as well as turret mount details below the deck level. • The Canvas covers at the base of the main guns and sand bags for the AA gun positions are made with elastomer. The use of elastomer plastic depicts those parts more faithfully and naturally. • Rotation and gun elevation of secondary armament and both 12.7mm and 25mm AA gun mounts is possible. • Mast components are made from ABS plastic for greater durability and are less brittle. • Photo-etched parts for ladders and radars included. • The model is equipped with metal propeller shafts. Poly-cap attachment allows the rudder to be movable. • Reconnaissance seaplanes and various small boats equipped on the Yamato are included. • The boat hangar door may be depicted in either open or closed position.